'TIS the season of the big spring clean and my inner Sadie the Cleaning Lady is excited. While cleaning is an all-year-round task, I find that spring is the perfect time to really commit to the big clean, make friends with our cleaning products and equipment and give our living space a new face. With a bit of music, we can get our groove on along with our game face and gloves. Cleaning gives us the chance to find old forgotten items and give them new homes and we can also discover old photos that allow us to relive beloved memories. Dust hunting may seem daunting but it does a world of good to a space and uncovers more potential as it restores forgotten dust-crusted areas to their original value. The vacuum and mop are a dynamic duo and work like a dream team. While the vacuum happily hoovers up insignificant bits and pieces that can significantly impact the feel and value of a space, the mop is like a miracle worker that follows along after, freshening the floors and adding a shine to our paths. A bit of elbow grease can give a house a new lease on life and make it feel more like a home. There are many things in life that we can't control but one thing we do have total control over is the state of our home. When we feel stressed in our work, in our personal lives or stressed in general, our homes feel it too. 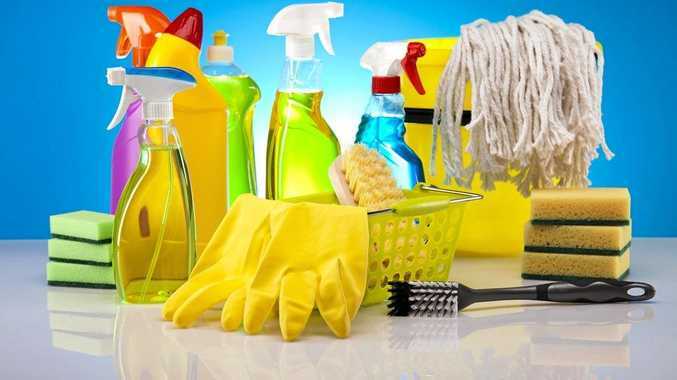 If we start to see cleaning in a slightly different light, it can almost be therapeutic and good for our hearts, bodies, minds and souls to feel like we can regain control in at least one aspect of our lives. Clearing away the clutter and breaking away from hoarding habits brings us a step closer to a clean slate and a better state of mind. By maintaining a wholesome home, it can start to feel like our own personal Zen zone away from the mess and mayhem of the world and become a good starting point for all things great in our lives. While we all loathe the loads of washing that continuously pile up with each passing day, it's comforting to know that with each load, we can wash away any traces of a bad day and start each new one with a clean attitude and comfortable clothing. Nothing like applying a bit of Softly to make a hard day go away. Back at the ironing station, life is not so bad if we strategically place our board in close proximity to the television. We can get lost in the land of entertainment all while making ourselves useful. A few episodes in and we could have straightened out an entire pile. Cleaning doesn't have to be such a boredom-inducing chore, it is what we make of it and when the cleaning equipment goes away, a rejuvenated version of ourselves comes out to play.